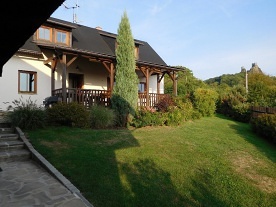 Rental cottage Skuhrov - Bohemian Paradise. 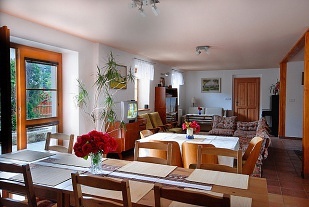 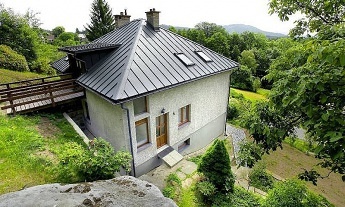 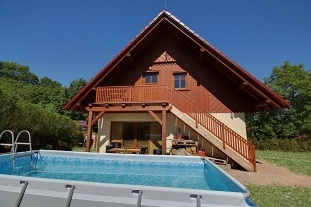 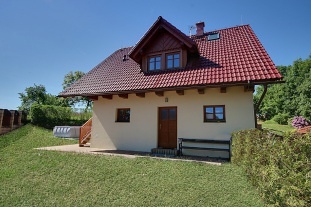 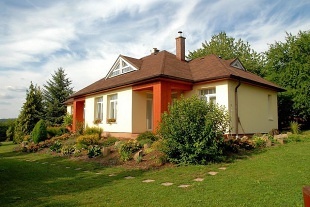 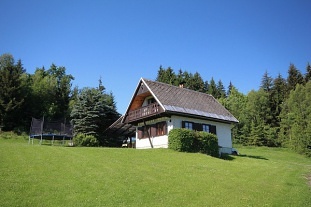 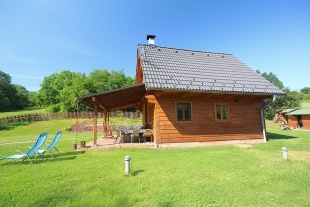 The stylish semi-detached cottage is situated in a small village in the small village on the border between Bohemian Paradise and Podkrkonoší. 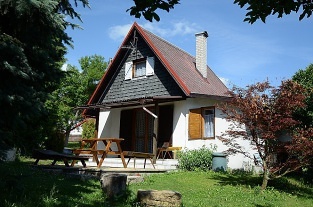 The cottage is after complete reconstruction and will offer a comfortable backdrop for your holiday or weekend stay. 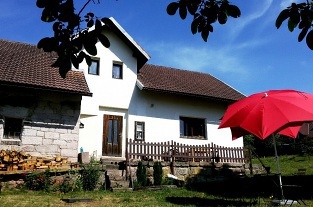 There is a capacity for up to 13 people, but also a tiled stove in the room, a fireplace in the common room and an overhead pool in the garden (in summer). 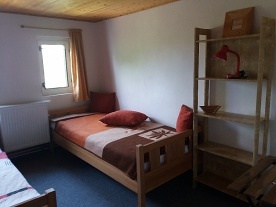 Bedrooms and rooms: On the ground floor of the building there is an entrance hall leading to a living room with a tiled stove, TV (sofa bed for 2 persons) and a kitchenette (fully equipped). 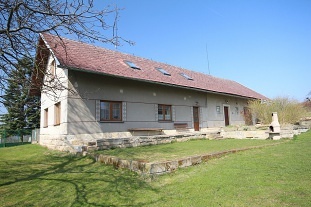 Further on the ground floor there is another 3rd bedroom (double bed and 1 bed), bathroom with bath and toilet and larder with fridge. 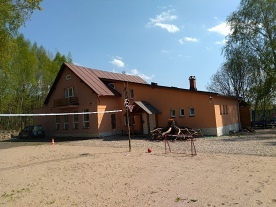 On the 1st floor there is an entrance hall which enters the kitchen (1,5 beds), the bathroom (bathtub, toilet and bidet) and a large living room (hall) with a fireplace - large table, chairs and folding 1.5 bed. 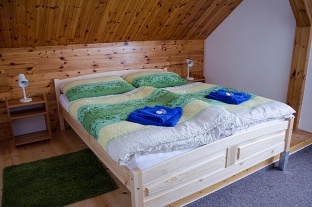 In addition, the living room enters into 3 separate dormitory bedrooms (1 x 2 beds, 1 x 3 beds + cot and 1 x 4 beds). 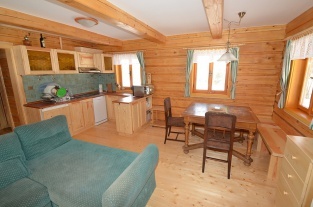 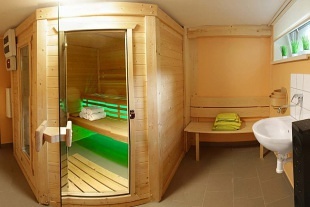 In the building there is 2x boiler - 175 l and flow water heating, automatic washing machine, can lend a cot. 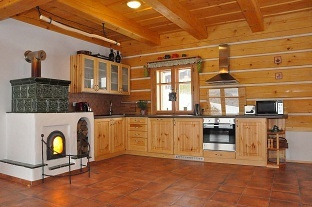 Electrical heating (heaters) and solid fuel stoves (fireplace and tiled stove). 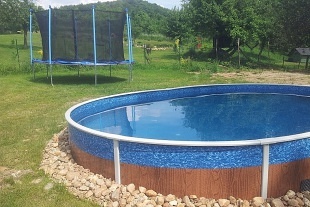 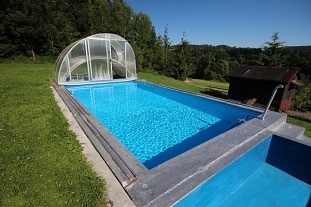 The garden is partly neoplocená, in the garden summer pool over 5 x 3 x 1,2 m.
Additional information Termíny již do konce srpna 2019 nedostupné z důvodu úprav okolí objektu. 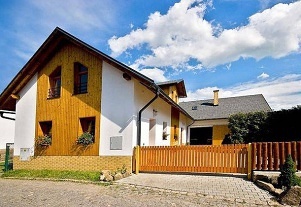 Pohodlná a příjemná chalupa, doporučujeme, hezké místo.